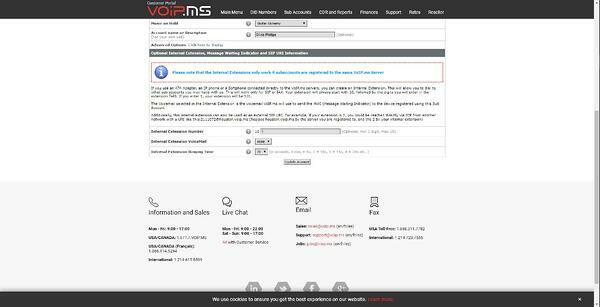 Start by creating an account with VoIP.ms by selecting the following link: https://voip.ms/. VoIP.ms provides external calls with a pay-as-you-go pricing plan for international calling. Note: In addition to email verification, you will also need a manual verification. Verify by messaging Live Chat or emailing VoIP.ms. Log into VoIP.ms, you will be greeted with the Dashboard screen below. From here, navigate from the “Main Menu” to “Account Information”. Keep this tab opened as you will need this later on for voice set-up (Step 5). From the navigation bar, open up “Create Sub Account” under “Sub Accounts”. Here, you will create and configure new extension lines for your users. Once you are done, navigate to “Manage Sub Accounts”. Keep this page opened. You will be referencing values in each account for later set-up. Sign up with Bria Teams at https://teams.softphone.com/signup. You will need an administrator account to access Bria Team’s main portal. 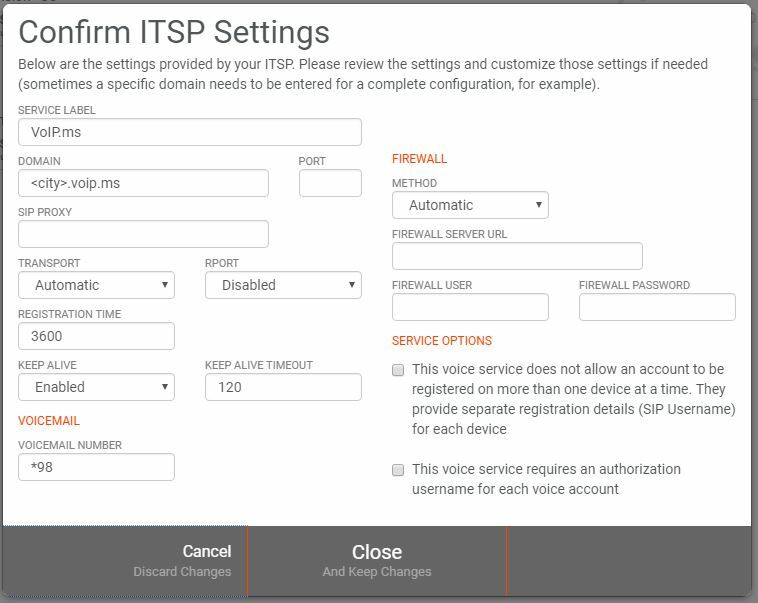 Navigate to the “Voice” tab, select the "Add Voice" button and select VoIP.ms as your voice provider. 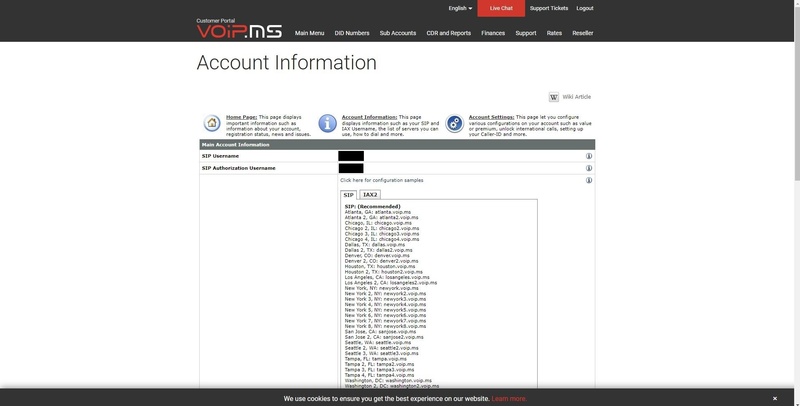 As highlighted below, refer to the SIP information page on VoIP.ms and paste in a VoIP.ms SIP domain. Click on the “User” tab and select the "Add User" button. 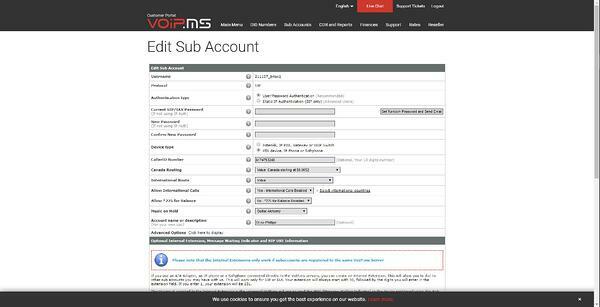 Here, you will need to create users identified by emails and assign them the SIP extension lines you have set in your VoIP.ms “Sub-Accounts” tab (Step 3).